First off, I can’t claim credit for the analogy in the title of this post! When I was waiting for my follow-up appointment at the hospital in Tokyo, I was chatting to the guy who was translating for me about travel and Japan, and he said that he had a friend who had compared New York City and Tokyo by saying that New York was a melting-pot of different cultures and activities, whilst Tokyo was more of a bento box. For the uninitiated, a bento box is a plastic box meal with different compartments containing different bits; rice, fish, vegetables etc. They can be found in convenience stores and at railway stations in Japan (you’ll often spot people eating them on the shinkansen). 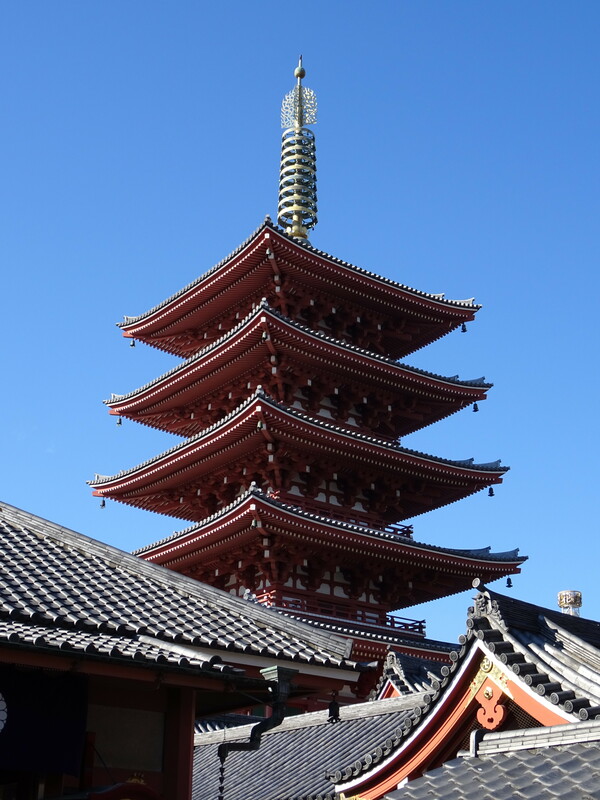 As I reflected on my experiences of Tokyo over the next few days, I kept coming back to this idea, not just in terms of culture and influence, but also in terms of how the old sits with the new in this city. 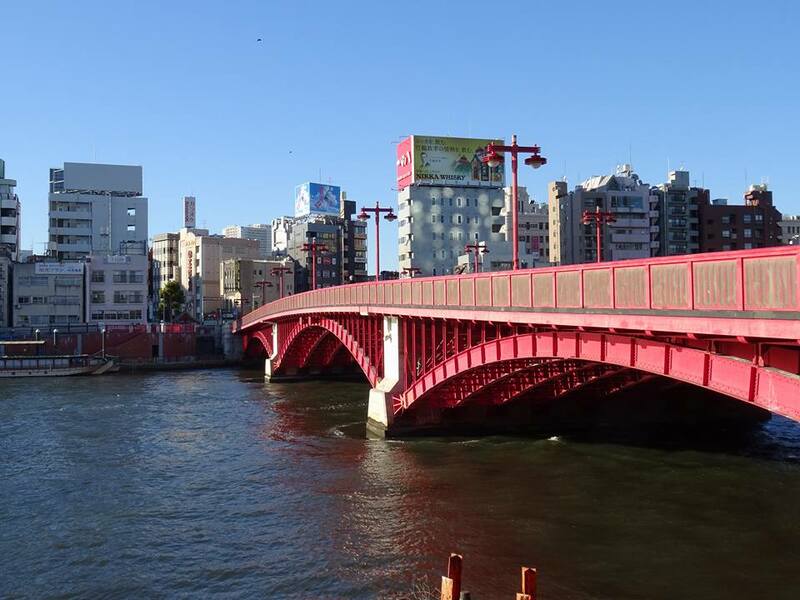 I stayed in Asakusa, a vibrant and busy area of the city which is well connected to the other districts (if you choose to come here, I highly recommend the hostel I stayed in; Khaosan Samurai Capsule. Cosy capsule beds, gorgeous kitchen, great location, helpful staff). 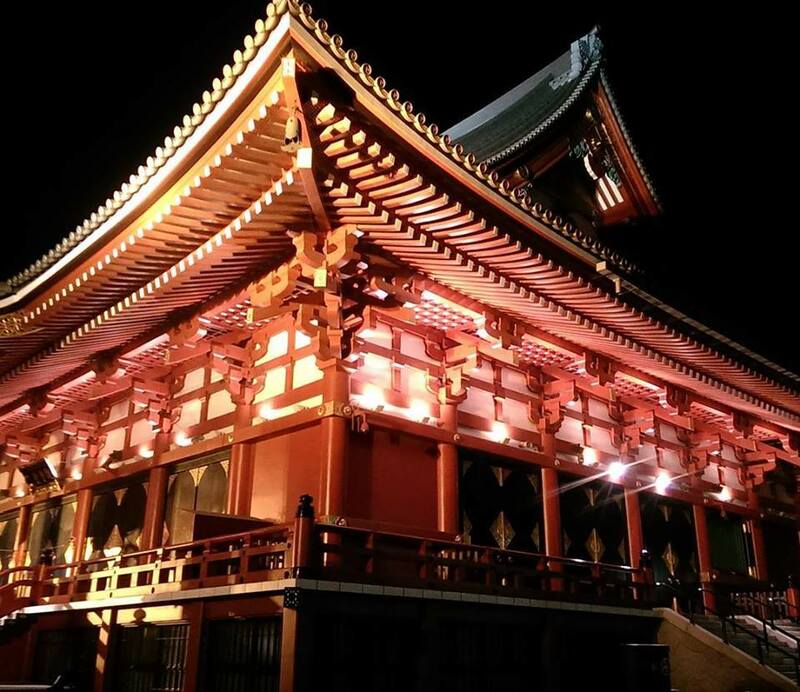 My first experience of Asakusa was of bright lights, shops, restaurants and bars, and crowds of people. 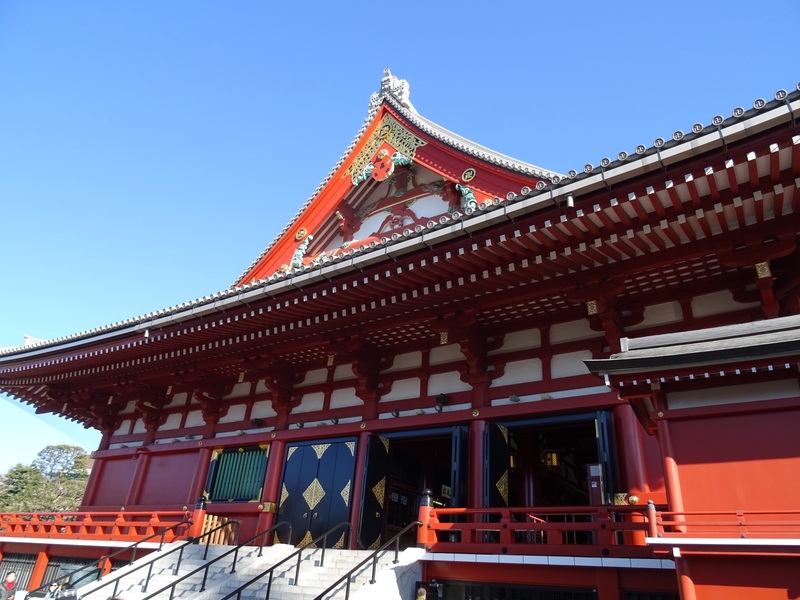 However, after pulling myself from my sick-bed and going for a wander, I came across the Senso-ji Temple in the middle of all of this; a complex of gates, shrines, temple and pagoda, with the temple building dating back to the 600s – older than Tokyo itself. 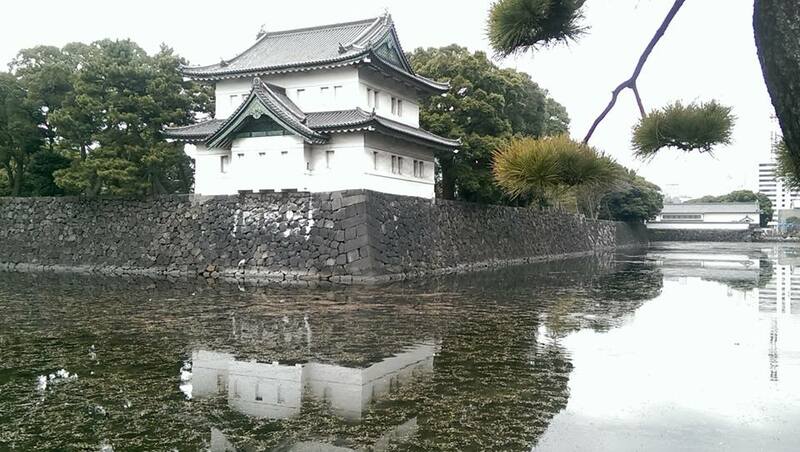 The next day, I headed over to the Imperial Palace Gardens for a walking tour. 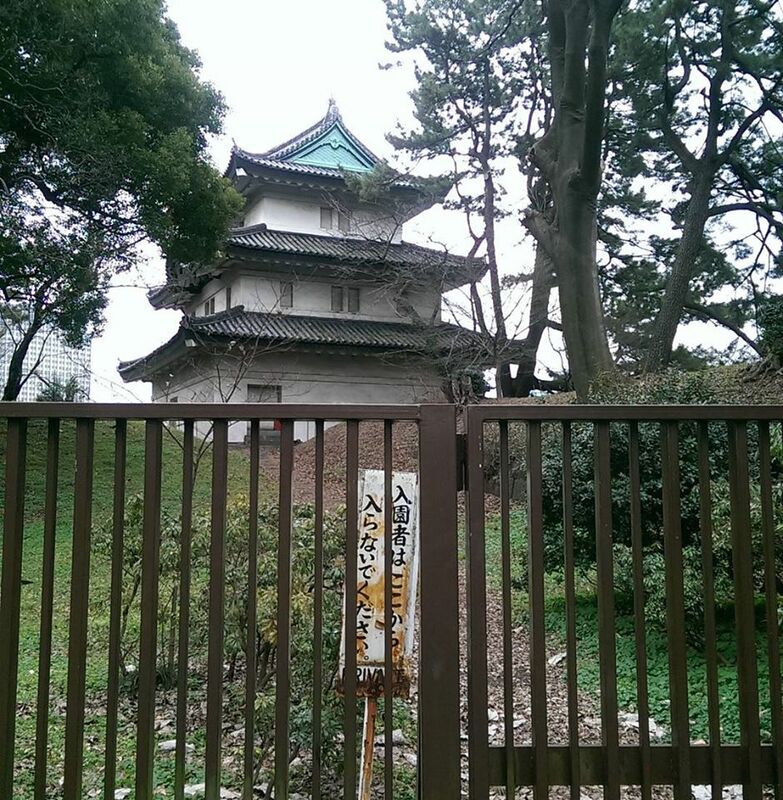 Again, there was a stark contrast in my route; from the massive Tokyo Station, through the Maranouchi business area, and then suddenly in the gardens harking back to a previous era of the city. 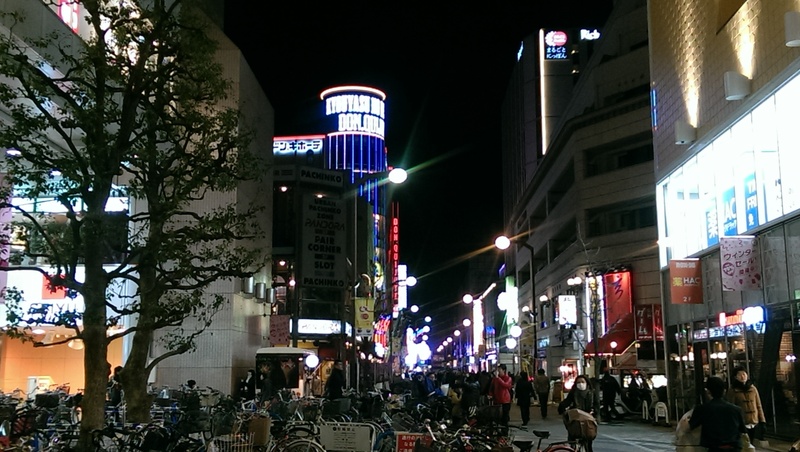 Next, I hopped on the JR Yamamote line which loops around the city to visit some of the more well-known districts. 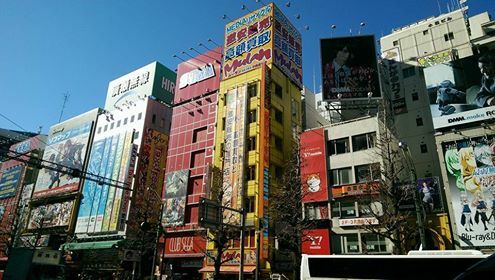 In Akihabara you find electric Tokyo; lights, billboards and barrages of sound. 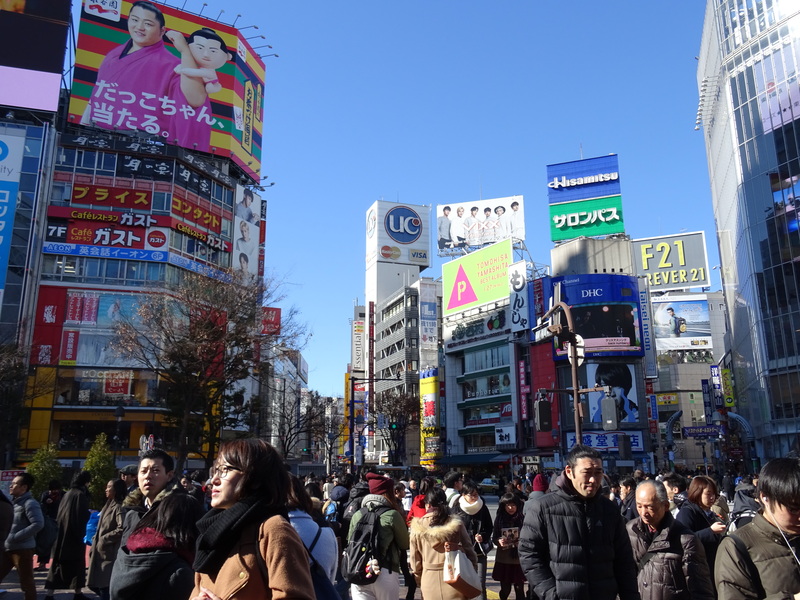 This theme continues in Shibuya, where you’ll also find that famous crossing said to be the busiest in the world. Unfortunately I couldn’t get the best pictures, being part of the throng moving over the road rather than up high somewhere! 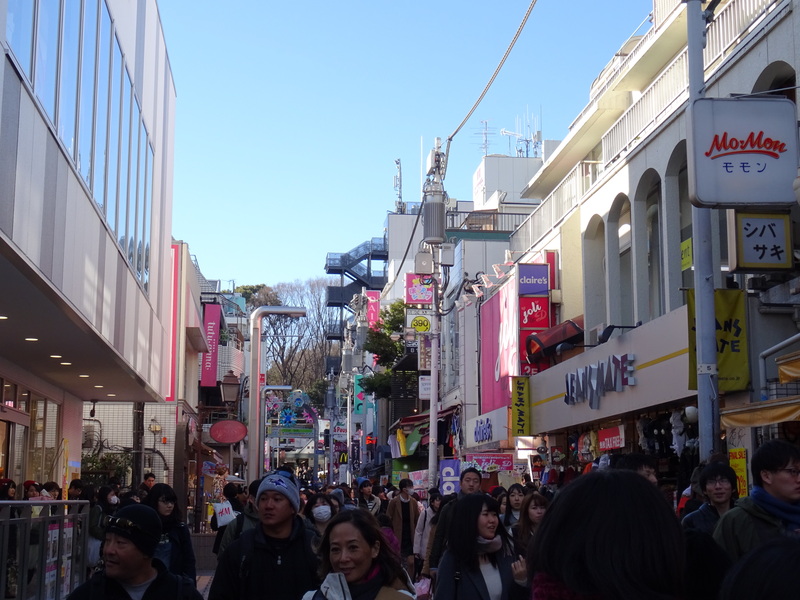 It was then onwards to Harajuku, perhaps one of the best-known areas, and it lived up to expectations; boutiques and candyfloss shops staffed by women who looked like dolls, kookily-dressed teenage girls packing the streets, and music and sound everywhere. Yet on the other side of Harajuku JR Station I found the peaceful, green expanse of the Meiji Jingu shrine. It was such a massive contrast that it was hard to believe that these two compartments of the box sat side by side. 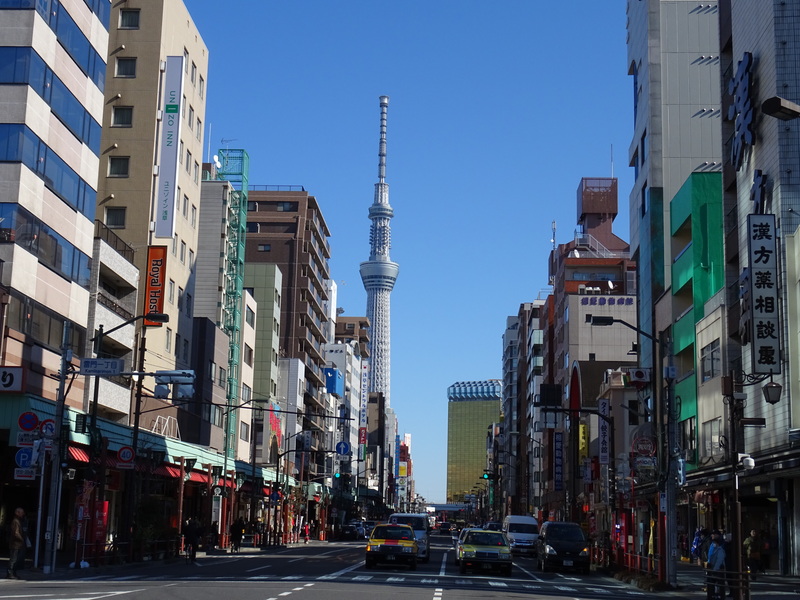 There are many other old and new features of Tokyo that I didn’t get to see; there are shrines all over the city, and another massive modern sector is Roppongi, renowned for nightlife and shopping. The more you explore, the more delicious compartments of the bento box there are to find. Welcome to The Imagination Trail! This is me: my name's Rachel and I'm a blogger, writer, dreamer, feminist and volcano-chaser. In 2016 I left a successful career as an academic librarian in the UK and gave up my home and most of my possessions to go travelling throughout Asia, Australia and New Zealand. In 2018 I returned to the UK, went back into librarianship, and now travel within Europe and further afield as much as possible in my free time. I hope to show that solo female travel is just as easy, fun and safe (if not more so!) as travelling with others. Should I go to the beach alone? This is me: my name's Rachel and I'm a blogger, writer, dreamer, feminist and volcano-chaser. In 2016 I left a successful career as an academic librarian in the UK and gave up my home and most of my possessions to go travelling throughout Asia. I hope to show that solo female travel is just as easy, fun and safe (if not more so!) as travelling with others.